Another day, another festival lineup and this time for Quebec City Summer Festival. 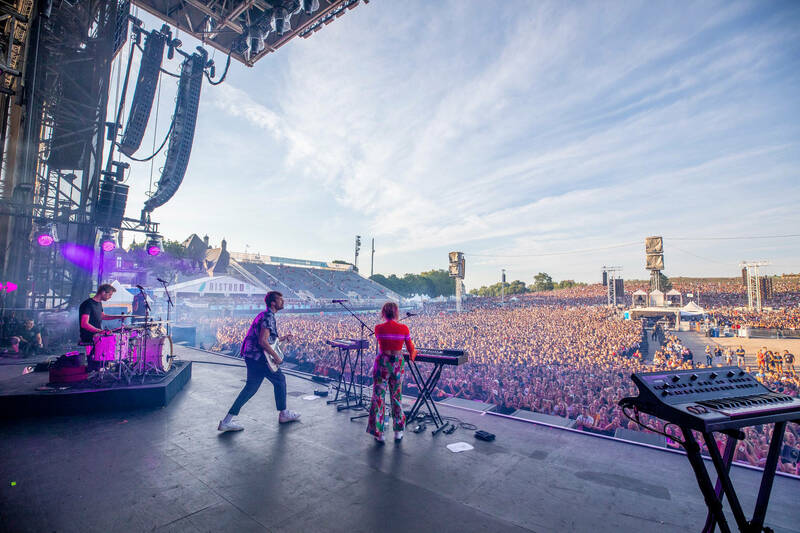 The 11-day event takes place in the downtown area of Quebec City and features an impressive lineup that will appeal to any and every genre lover. From Mariah Carey, Logic, CHVRCHES, Slipknot, alt-j, Diplo, Imagine Dragons, blink-182, Lynyrd Skynyrd, Coeur de Pirate, to A Boogie Wit Da Hoodie, Daniel Caesar and Leikeli47 and lots more. The world’s longest continuously running music festival begins on July 4th and ends on July 14th. Tickets go on sale online as of April 4th and an 11-day pass goes for $105. Mariah recently celebrated her 49th birthday, but as she likes to call it, her anniversary. "I don’t count years but I definitely rebuke them...I have anniversaries, not birthdays, because I celebrate life, darling," she said when explaining why she cancels the word birthday. Mariah had dinner at Tao Uptown, a popular Asian fusion restaurant in New York, with her boyfriend Bryan Tanaka, twins Moroccan and Monroe and some of her hard-working team.